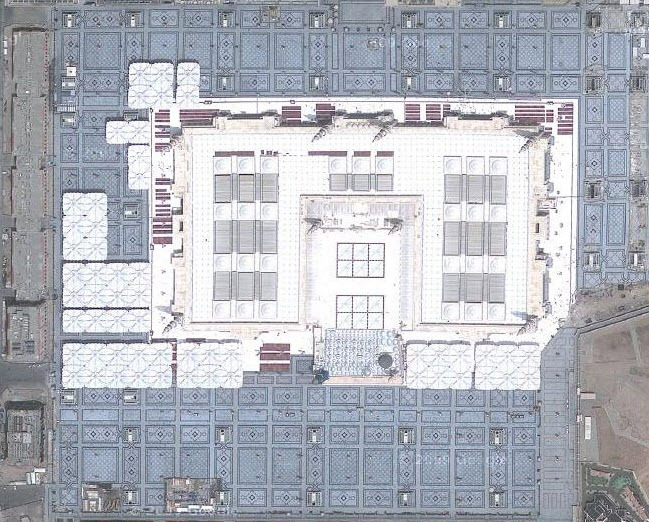 Satellite image of Masjid-e-Nabvi (SAW), Can you see the Roza Mubarik of NABI (SAW). Subhan Allah. You can check it on google maps also. One thing u will notice, Masjid-e-Haram Makkah and Masjid-e-Nabvi SAW both are very bright and shining as compared to other sites.